The Arab Spring started the fire in 2011, and ever since the whole MENA region has been in turmoil. The civil war in Syria has quickly become a global one with the ongoing war against the Islamic State (ISIL)–a terror organization and a self-proclaimed state at the same time— on the one hand, and the refugee crisis, on the other. The war against ISIL largely continues in the global sphere, with the involvement of the United States, Russia, Iran, the Gulf States, and Israel with geopolitical aims in the region. The refugee crisis, meanwhile, is a major issue to tackle primarily for neighboring countries like Turkey, Lebanon, and Jordan, as well as European countries. The number of Syrian refugees in Turkey has increased from an estimated 25,000 in 2011 to nearly 3 million in 2016. The number of asylum applications from Syrians in European countries was 25,665 in 2012, and this number increased to 104,300 for 2016. At the end of June 2016, there were almost 1.1 million pending applications for asylum protection in the EU member states. Between March 2011 and March 2016, 250,000 people died in the Syrian war. So far in 2016, 414 people have lost their lives as they were trying to cross the Aegean Sea, 366 of them before the Turkey-EU deal. The living conditions for those who made it to Turkey or Greece are also worrying. One year ago German Chancellor Angela Merkel appeared on TV show Anne Will and announced her plan for the refugee issue, which depended not only on Germany but also on Turkey. Merkel’s plan originally belonged to the European Stability Initiative (ESI) and its founding chairman Gerald Knaus. This initial plan included asylum grants for some 500,000 Syrian refugees in one year. It suggested that not only Germany but also other European states should accept claims for asylum directly from Turkey to avoid unsafe routes, Turkey should take back immigrants who made it to Greece in order to discourage people to cross the Aegean via smugglers, and that Germany should help Turkey to achieve visa liberalization. Clearly, Merkel saw Turkey as a key partner in dealing with this refugee crisis, but she had to convince her European counterparts, too. Despite the ESI’s insistance “to move quickly” in implementing their plan, “the European leaders handed over responsibility to the notoriously slow-moving and less influential European Commission.” Merkel convinced the EU to take joint action in solving the refugee crisis. The Turkey-EU Deal was finally formulated almost half a year later when Merkel announced her version of the plan on March 18, 2016. But the main trick was in the implementation of this plan. In their policy brief in June 2016, Toygür and Benvenuti were already hinting at major problems and a potential Plan B in dealing with the refugee crisis. Since this deal, in addition, the referendum in Britain has resulted with the “Brexit” decision, the Alternative for Deutschland (AfD) gained more seats in the German state parliament, and a coup attempt took place in Turkey allegedly orchestrated by the religious cleric Fethullah Gülen. In the aftermath of this coup attempt, the already tense relationship between the West and Turkey became further rigid, with rising skepticism from both sides on the political and societal levels. 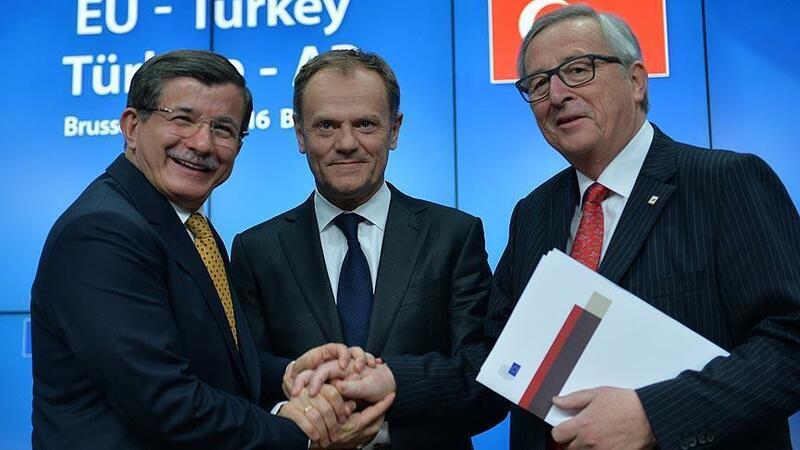 In light of the current framework, this article briefly overviews the process of implementing the Turkey-EU Deal and its future. What has been promised by both parties, and what has been done in this past year? The article concludes with a tentative answer to the question of what should be done by considering potential future scenarios and inviting policy makers and the public to realize that the main issue at hand is the Syrian refugee issue. In the framework of the EU-Turkey deal, Turkey agreed to accept the rapid return of all migrants not in need of international protection crossing from Turkey into Greece and to take back all irregular migrants intercepted in Turkish waters. Stepping up measures against migrant smugglers and welcoming the establishment of the NATO activity on the Aegean Sea were also agreed on. Moreover, there is a claim that individuals who submit asylum claims but are determined to have arrived from a country where they had or could have claimed protection (a “safe third country” or “first country of asylum,” the EU criteria for which include the right to non-refoulement  and the ability to both request and receive protection) are considered inadmissible to the EU and eligible for return. In September 2015, the European Commission (EC) adopted a temporary and exceptional relocation mechanism for 106,000 people from Greece and Italy, which put member states under pressure for managing continued exceptional flows. Anticipating the shortcomings of this principle, there was a need for an alternative policy. The EU-Turkey Deal developed a mechanism called “one for one”, meaning one Syrian refugee from Turkey would be resettled in Europe for every one refugee that is readmitted to Turkey. According to the deal, the EU would further speed up the disbursement of the initially allocated three billion euros under the ‘Facility for Refugees in Turkey’, which manages humanitarian assistance for refugees in Turkey on diverse matters including education, health, municipal infrastructure and other socio-economic projects. Once these resources are used to the full advantage of the refugees by Turkey, the EU would mobilize additional funding for the Facility of an additional three billion euro up to the end of 2018. In the framework of the agreement, the EU also pledged to reenergize Turkey’s bid for membership in the EU and lift visa restrictions on Turkish tourists and businessmen. In return, Turkey is required to meet the seventy-two criteria drawn by the EC. According to the EC report on May 4, 2016, five of the criteria needed further work from Turkey. These were 1) to implement the National Strategy and the Action Plan on the Fight against Corruption and the recommendations of GRECO; 2) to provide effective judicial cooperation in criminal matters; 3) to implement an Operational Cooperation Agreement with EUROPOL, 4) to align legislation on personal data protection with EU standards and and 5) to implement the EU-Turkey Readmission Agreement in all its provisions and to revise legislation and practices on terrorism in line with European standards. However, Turkey does not consider the fifth criterium as a part of the deal and replaces “to issue biometric travel documents fully compatible” as it is fulfilled by Turkey. The element on terrorism remains under controversy, along with other problems, as the next section will explain. 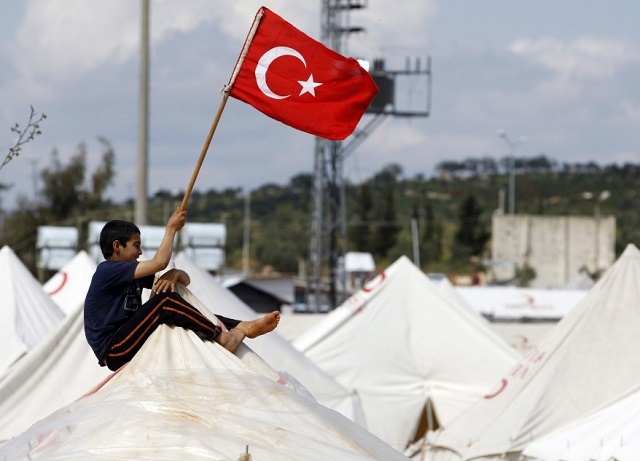 Since the deal was implemented, Turkey continued to receive more refugees from Syria. According to the legalization process, Turkey also receives those returning from Greece and provides formal guarantees that all Syrian refugees returning to Turkey from the Greek islands may request and be granted protection under the temporary protection regulation in Turkey. With this, the casualties and injuries have subsided, and smuggling activities through the Aegean Sea dropped significantly. Meanwhile, as refugees increasingly arrived on the shores of Greece, the EU remained reluctant to implement the relocation of asylum seekers. Thousands of refugees continue to live in challenging conditions while waiting for their asylum applications. According to the fact sheet published in June by the EC, it is already recognized that the relocation program falls short of fulfilling the fundamental aim of the deal. By June 10, the total number of persons relocated from Greece was 1,503, although this number was designed to be 6,000 people per month. The EU failed to provide sufficient assistance to Greece and also Italy, which are the two countries of first arrival. According to EC’s sixth report on relocation and resettlement, a total of 1,614 persons have been resettled from Turkey to the EU countries under the 1:1 mechanism since the Turkey-EU Deal in March 2016, doubling the number in the previous report published on July 13. Still, there are shortcomings with the implementation of this mechanism. Since the implementation of the deal, 578 refugees have returned from the Greek islands to Turkey, including only 53 Syrians. There has been a major controversy on whether the initial three billion euros was allocated or not. On October 3, President Erdoğan highlighted the gap between what the EU promised to Turkey and what it actually paid, saying: “What’s delivered to us so far is 179 million euros. What’s promised is three billion euros… The year is coming to its end.” However, the report of the European Commission, which was updated on October 3, 2016, states that “2,239 billion euros have so far been allocated … 1,252 billion euros have been contracted … 467 million euros have been disbursed to date.” From the beginning of the refugee crisis until today, Turkey claims that it has spent over 12 billion euros on Syrian refugees in Turkey. The most optimistic comment about the current situation of the Turkey-EU deal would be to describe it as “fragile.” In fact, many people openly claim that the deal may collapse due to the abovementioned gap between the deal and its practice. The Turkish government, as well as President Erdoğan himself, openly blame Europe for not keeping its promises on the financial support for Syrian refugees in Turkey and the visa liberalization issue. Xenophobia is on the rise across Europe and populist parties are “stoking anti-immigrant fears.” Some favor Europe’s abandoning of the deal and not allowing itself “to be bullied by an increasingly tyrannical state.” Emphasizing the benefits of this deal for both parties involved, Merkel has said that “almost no one has drowned in the Aegean Sea” since the deal and described the anti-immigrant AfD as “a challenge not only for the Christian Democrats … [but also] a threat to the values of society”. Knaus highlights that the Turkey-EU deal has to be put into concrete action in order to avoid disastrous outcomes. The ESI has made several further recommendations for the Turkey-EU deal to be successfully implemented with a the same newspaper: (1) increasing and more efficient involvement of the EU Asylum Missions in support of the Greek officers via sending case workers, interpreters, and reception officers; (2) a working relocation scheme within the EU to act in solidarity with Greece and Italy and share the economic and humanitarian burdens; (3) Turkey’s committed cooperation with the EU, UNHCR or an independent Ombudsperson to verify itself as a third safe-country; (4) a better communication not only between the EU and Turkey in the governmental level but also among the host communities, overall public, media and organizations working on the ground. Other recommendations can be made with respect to the Turkey-EU Deal. First, the difference between the EU and Turkey legal standards on refugees causes significant problems for the implementation of the 1:1 mechanism. Greece is not only returning Syrian refugees to Turkey but also sends refugees with different nationalities. However, the Turkish legislation for refugees does not match with the Geneva Convention. Rather, it either gives a temporary protection status only to Syrians or a right to international protection to everyone else. Collett warns that “the EU leaders would be making a calculated risk” and in order this mechanism to work, both the EU and Turkey should share a universal protection framework for refugees. Second, it is important to highlight that Turkish and European politicians should not use this humanitarian crisis as a political tool. The rise of xenophobia and nationalism is a threat both for Turkey and the EU and there needs to be stronger political narrative that highlights inclusion rather than exclusion in dealing with the refugee crisis. Following the Paris attacks in September 2015, President Hollande announced that France would welcome 30,000 more refugees in the following two year period, “’ignoring the elements of fear”. Such inclusionary attitude is much needed in an increasingly polarizing politics. Not only politicians but societies can also benefit from backchannel processes to ease the exclusionary narratives. The European Union is facing an institutional crisis. There is rising xenophobia and Islamophobia in Europe, threatening the core values of the EU, such as human dignity, freedom, democracy, equality, the rule of law, and respect, for human rights. This threat is not limited to the EU but it also affects Turkey, a country that much needs the EU’s guidance and support on good governance. As the EU loses its role and credibility as an anchor for democracy and human rights for Turkey, we see a rising euro-skepticsm and anti-Westernism in Turkey. In order to avoid this intolerance, there needs to be continuous dialogue, joint work and mutual trust between the two parties. Perhaps, the ultimate question that needs to be answered is the flowing: What was the ultimate purpose of this deal? Was it for Europe to keep illegal/irregular migrants outside, was it for Turkey to gain visa liberalization, or was it the Syrian refugees themselves? Or, was it all three, as is likely. All in all, it takes commitment from both the EU and Turkey to commit to work on these challenges to avoid more chaos not only in the national and institutional levels, but perhaps most importantly on the public and humanitarian levels. A further 12,500 people have arrived on the shores of Greece after the implementation of the EU-Turkey migration agreement of 18 March 2016. Pınar Dinç is Research and Development Coordinator at Istanbul Policy Center, an independent policy research institute, since March 2016. She received her MRes Degree in Political Science at the Department of Government, London School of Economics in 2011. Her PhD dissertation, Collective memory and competition over identity in a conflict zone: the case of Dersim, focuses on the competition over Dersim’s collective memory and identity by different movements with an aim to explain the causes and outcomes of this competition through macro, meso, and micro dynamics. Pinar graduated from Istanbul Bilgi University, Department of Sociology, with a minor degree in International Relations in 2007. The same year, she began her Master’s Program, Comparative Studies in History and Society, at Koç University. She finished her MA in 2009, with a thesis titled “Discrimination and Silence: The Case of Minority Foundations in Turkey.” She is currently working as a part-time instructor at Koc University. Irem Aydemir is editor at 140journos, a Turkish citizen journalism platform based in İstanbul. She holds BA from Department of Political Science and International Relations, Bahcesehir University. By pursuing a graduate degree, her research interest areas are intertwined relationship between identity politics and social movements; precisely identities based on ethnicity, migration and religion.